It’s one part adorable, one part terrifying. We hear all around us about the major breakthroughs that await just around the bend: of miraculous cures for cancer, of amazing feats of genetic engineering, of robots that will soon take over the job market. And yet, underneath all the hubbub, there lurk the little stories – the occasional bizarre occurrences that indicate the kind of world we’re going into. One of those recent tales happened at the beginning of this year, and it can provide a few hints about the future. I call it – The Tale of the Little Drone that Could. Our story begins towards the end of January 2017, when said little drone was launched at Southern Arizona as part of a simple exercise. The drone was part of the Shadow RQ-7Bv2 series, but we’ll just call it Shady from now on. Drones like Shady are usually being used for surveillance by the US army, and should not stray more than 77 miles (120 km) away from their ground-based control station. But Shady had other plans in the mind it didn’t have: as soon as it was launched, all communications were lost between the drone and the control station. Other, more primitive drones, would probably have crashed at around this stage, but Shady was a special drone indeed. You see, Shadow drones enjoy a high level of autonomy. In simpler words, they can stay in the air and keep on performing their mission even if they lose their connection with the operator. The only issue was that Shady didn’t know what its mission was. And as the confused operators on the ground realized at that moment – nobody really had any idea what it was about to do. Autonomous aerial vehicles are usually programmed to perform certain tasks when they lose communication with their operators. Emergency systems are immediately activated as soon as the drone realizes that it’s all alone, up there in the sky. Some of them circle above a certain point until radio connection is reestablished. Others attempt to land straight away on the ground, or try to return to the point from which they were launched. This, at least, is what the emergency systems should be doing. Except that in Shady’s case, a malfunction happened, and they didn’t. Some believe that Shady’s memory accidentally contained the coordinates of its former home in a military base in Washington state, and valiantly attempted to come back home. Or maybe it didn’t. These are, obviously, just speculations. It’s entirely possible that the emergency systems simply failed to jump into action, and Shady just kept sailing up in the sky, flying towards the unknown. Be that as it may, our brave (at least in the sense that it felt no fear) little drone left its frustrated operators behind and headed north. It flew up on the strong winds of that day, and sailed over forests and Native American reservations. 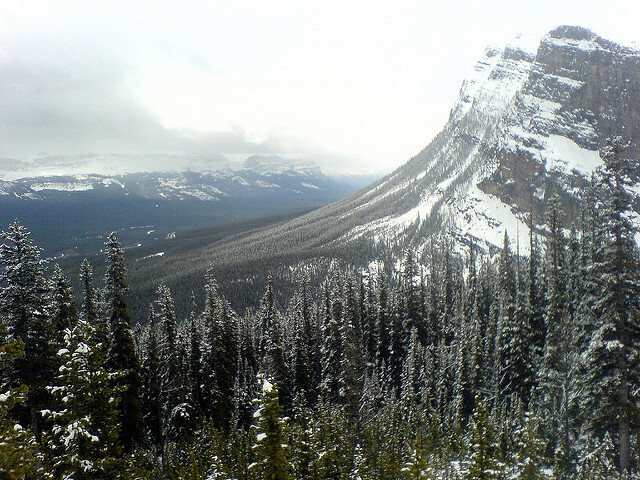 Throughout its flight, the authorities kept track over the drone by radar, but after five hours it reached the Rocky Mountains. It should not have been able to pass them, and since the military lost track of its radar signature at that point, everyone just assumed Shady crashed down. Instead, Shady rose higher up in the air, to a height of 12,000 feet (4,000 meters), and glided up and above the Rocky Mountains, in environmental conditions it was not designed for and at distances it was never meant to be employed in. Nonetheless, it kept on buzzing north, undeterred, in a 632 miles journey, until it crashed near Denver. We don’t know the reason for the crash yet, but it’s likely that Shady simply ran out of fuel at about that point. And that is the tale of Shady, the little drone that never thought it could – mainly since it doesn’t have any thinking capabilities at all – but went the distance anyway. Shady is just one autonomous robot out of many. Autonomous robots, even limited ones, can perform certain tasks with minimal involvement by a human operator. Shady’s tale is simply a result of a bug in the robot’s operation system. There’s nothing strange in that by itself, since we discover bugs in practically every program we use: the Word program I’m using to write this post occasionally (and rarely, fortunately) gets stuck, or even starts deleting letters and words by itself, for example. These bugs are annoying, but we realize that they’re practically inevitable in programs that are as complex as the ones we use today. Well, Shady had a bug as well. The only difference between Word and Shady is that the second is a military drone worth $1.5 million USD, and the bug caused it to cross three states and the Rocky Mountains with no human supervision. It can be safely said that we’re all lucky that Shady is normally only used for surveillance, and is thus unarmed. 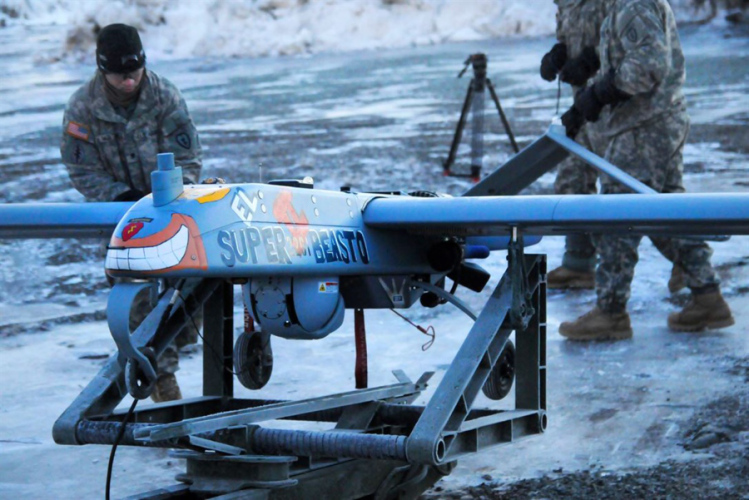 But Shady’s less innocent cousin, the Predator drone, is also being used to attack military targets on the ground, and is thus equipped with two Hellfire anti-tank missiles and with six Griffin Air-to-surface missiles. 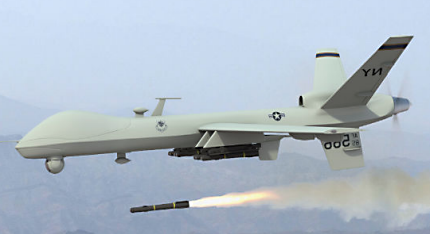 A Predator drone firing away. I rather suspect that we would be less amused by this episode, if one of the armed Predators were to take Shady’s place and sail across America with nobody knowing where it’s going to, or what it’s planning to do once it gets there. I’m sure that the emotionally laden story in the beginning of this post has made some of you laugh, and for a very good reason. Robots have no will of their own. They have no thoughts or self-consciousness. The sophisticated autonomous robots of the present, though, exhibit “urges”. The programmers assimilate into the robots certain urges, which are activated in pre-defined ways. In many ways, autonomous robots resemble insects. Both are conditioned – by programming or by the structure of their simple neural systems – to act in certain ways, in certain situations. From that viewpoint, insects and autonomous robots both have urges. And while insects are quite complex organisms, they have bugs as well – which is the reason that mosquitos keep flying into the light of electric traps in the night. Their simple urges are incapable of dealing with the new demands placed by modern environment. And if insects can experience bugs in unexpected environments, how much more so for autonomous robots? Shady’s tale shows what happens when a robot obeys the wrong kind of urges. Such bugs are inevitable in any complex system, but their impact could be disastrous when they occur in autonomous robots – especially of the armed variety that can be found in the battlefield. If this revelation scares you as well, you may want to sign the open letter that the Future of Life Institute released around a year and a half ago, against the use of autonomous weapons in war. You won’t be alone out there: more than a thousand AI researchers have already signed that letter. Will governments be deterred from employing autonomous robots in war? I highly doubt that. We failed to stop even the potentially world-shattering nuclear proliferation, so putting a halt to robotic proliferation doesn’t seem likely. But at least when the next Shady or Freddy the Predator get lost next time, you’ll be able to shake your head in disappointment and mention that you just knew that would happen, that you warned everyone in advance, and nobody listened to you. And when that happens, you’ll finally know what being a futurist feels like.